I take the liberty of writing you in order to tell you that I am studying the 12 Guiding Principles ­– Prenatal and Perinatal Psychology with great interest. I completely and absolutely agree with you, with each word breathing in them.I am a Professor of Linguistic and Aesthetics and since 2010 I have been studying pain in Prenatal-Perinatal-and-Preverbal age. I am my little Giampaolo’s aunt. Giampaolo was diagnosed the acute lymphoblastic leukemia on 8th March 2010, at 12 months. 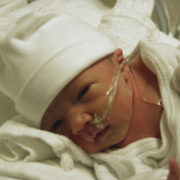 He died after months of great pain and distress at 19 months, in PICU, on 17th October 2010.